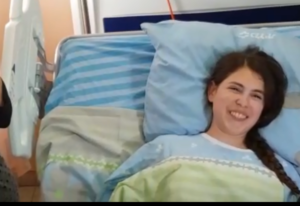 She thanked the doctors, the wonderful medical staff who are taking care of her, she thanked her friends and all of the people of Israel who have been praying for her. She says she has no anger towards anyone. Only gratitude. This from a young woman who should be celebrating with her friends the final days of twelfth grade. This weekend, my 18 year old daughter spent Shabbat (the Jewish sabbath) at school with her friends. Today, twenty of them went to an isolated beach in Tel Aviv. Next weekend, the school is taking them away for the weekend to the north, and her class, the seniors, will stay an extra day. All this, Shula is missing but she is not angry. Only grateful. God saved her. God granted her a miracle. In critical condition, she was rushed to the hospital. The agony of her parents is now replaced with the joy of seeing her smile. No room for anger. Her attacker was shot in the leg and will be fine. He was caught on video running away. Moments later, security forces took him down. He was facing them; they could easily have shot him in what doctor’s might identify as a heart. But they didn’t. Once again, our security forces acted according to the rules of engagement and simply disabled him. The Arab terrorist will face prison…hardly a reasonable punishment for a barbarian who can stab a young woman in the chest…but that is the justice of man. The justice of God will hang over him all the miserable days of his miserable life. A 19-year-old sniveling coward who attacked a girl much smaller than him. If she is a young woman, he cannot be called a child. But unlike him, she is an innocent. A pure soul who recognizes and is grateful for the miracle that is will be the rest of her life. 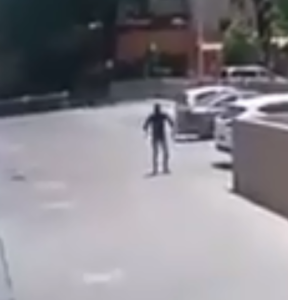 He is nothing, this barbarian that would call himself a man but attacks an unarmed young woman like the coward he is. He will be nothing, though to them he will be a hero. That is the essence of this fight. That simple. This clear. In his culture, he will be celebrated as a hero for stabbing a young woman in the chest repeatedly until he was shot in the leg. Shot in the leg as she collapsed to the ground because our security guards have orders to aim for the legs, to save a life, even a worthless one. Already and now forever, his life is shaped by hatred. Already now and forever, hers is shaped by love. Anger is his world because that is how his parents raised him. This is not about “the occupation” and it isn’t about land. 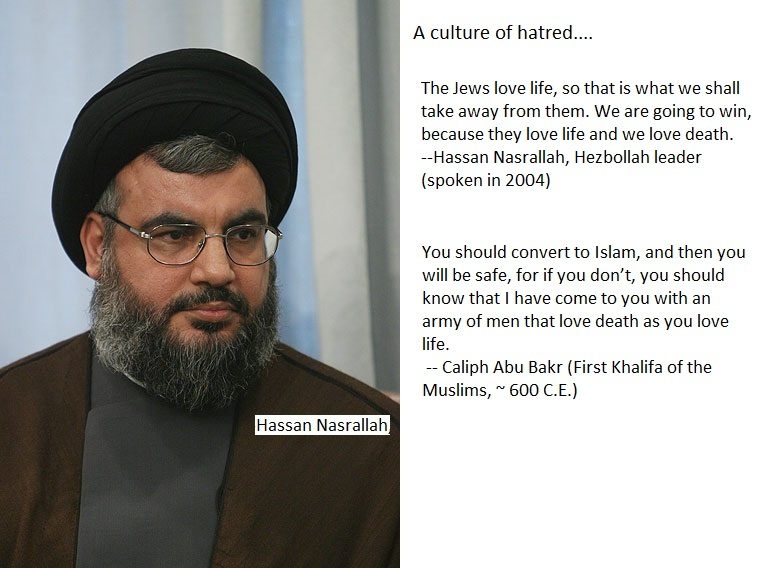 It is…it has always been…hatred versus love, death versus life. She smiles and speaks of miracles. It is almost obscene to put the two of them in the same post. Their mothers were likely pregnant at the same time. But from the minute they were born, they were both heading towards this single moment when they would meet. His world of violence touched her world for only a moment. It is to the credit of her parents, her school, and her world, that the ugliness of his has already been dismissed. And I’ll write what I have written time and time again…even in our greatest sorrow, I am forever proud to be part of a society that celebrates life and not death. His family likely spent the weekend celebrating his touch with martyrdom; our world spent the weekend praying for Shula’s survival. Today, this wanna be murderer goes to his own personal hell; Shula goes into the light. He will remain surrounded by hate; she will always be surrounded by light. May God grant Shula bat Michal (Shula, daughter of Michal) a full and speedy recovery and a long life filled with happiness, blessings, and love. This indeed is the work of the Spirit of Grace from the Lord . We can rejoice in the Lord who works wonders for His glory and our blessing . Let us pray for complete recovery . At the same time let us pray for this young man that he would with a repentant heart call upon the Lord in faith and be regenerated and reconciled . When that happens , it would be another miracle of added joy . Our Lord is sovereign and is in control. He will accomplish all His purposes . We are His sheep .He is our God and Shepherd .